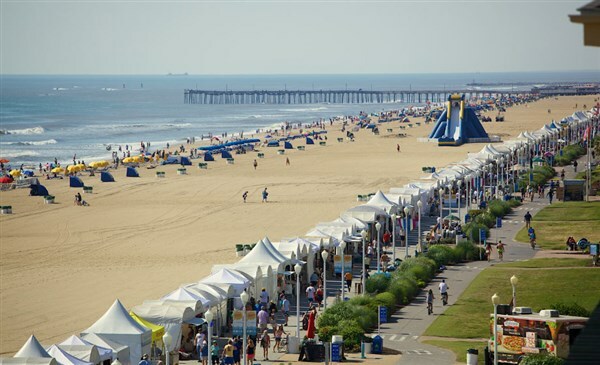 Travel to Virginia Beach, Virginia with Gunther Tours to celebrate the 45th anniversary of the Virginia Beach Neptune Festival. 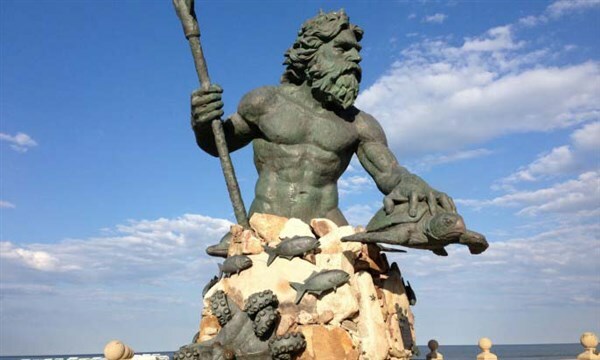 Travel to Virginia Beach, Virginia with Gunther Tours to celebrate the 46th anniversary of the Virginia Beach Neptune Festival. The festival weekend is three fun-packed days and nights of events and entertainment which attracts visitors and guests to the Virginia Beach oceanfront boardwalk. 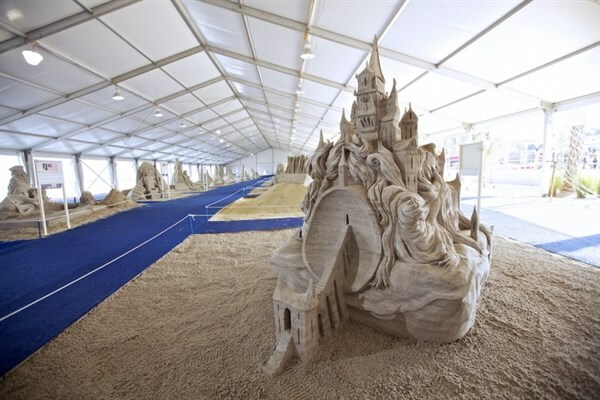 The signature event of the festival is the North American Sand Sculpting Competition. One of the largest competitions of its kind on the East Coast, the event has one of the biggest prize purses in the U.S. and draws more than 300 artists in its professional masters and amateur divisions. Other festival weekend highlights include daily outdoor concerts along 32 blocks of the boardwalk, featuring a variety of live musical performances, more than 300 artisans displaying and selling their works, a spectacular fireworks display over the Atlantic Ocean, a volleyball tournament, a surfing classic, an Atlantic Regatta, and a 5K and 8K run. Our oceanfront accommodations for the next two nights are at the Best Western Oceanfront Virginia Beach, which has private balconies with stunning views of the Atlantic Ocean. Be sure to bring your bathing suit and take advantage of the hotel's indoor pool.